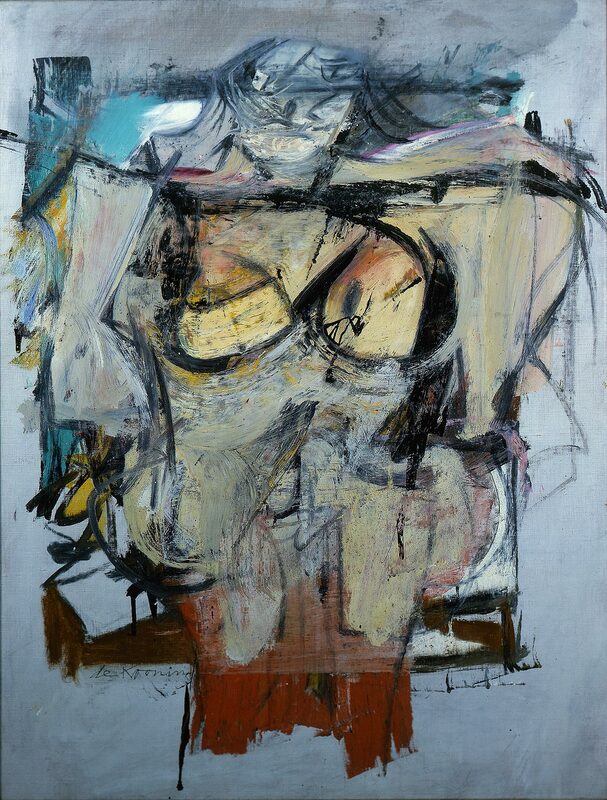 August 9, 2018 / Modified aug 9, 2018 9:26 a.m.
VIEW LARGER An image of the Willem de Kooning painting, "Woman - Ochre" 1954-55, Oil on canvas, Gift of Edward Joseph Gallagher, Jr.
Newly-discovered evidence is drawing more links between a New Mexico couple and the theft of an abstract painting stolen from the University of Arizona's art museum 33 years ago. The FBI's investigation into the theft of "Woman-Ochre" is still open, but in the year since it was found, more evidence has surfaced that could explain how the $160 million painting ended up hanging in the rural New Mexico home of Jerry and Rita Alter, where it was discovered after the couple died. Last week The Arizona Republic published a previously unknown picture of the Alters enjoying Thanksgiving with family in Tucson in 1985, one day before the painting was stolen. Other news reports point to "The Eye of the Jaguar," a short story Jerry Alter published a year before his death, that describes two thieves making off with a priceless jewel by distracting a museum security guard — just the way "Woman-Ochre" was stolen. Was it a confession, or just a coincidence? The painting itself is back in safekeeping at the UA Museum of Art, and the museum is raising money to fund its restoration.